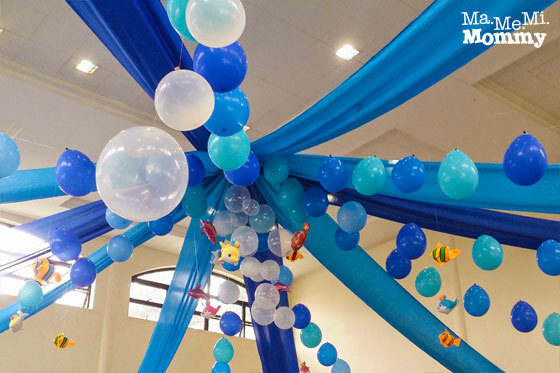 Sea creatures of all sizes and colours hung amidst the aqua and blue balloons floating from the ceiling. This cootie catcher (you remember that thing you used to play with your friends where you open it and close it a number of times depending on your favourite number and then open the flaps to see your fortune? That’s the one!) 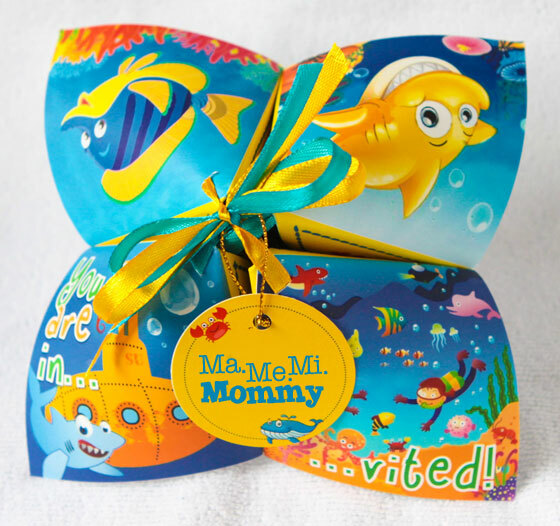 party invitation was perfect in setting the under the sea mood for the invited guests. 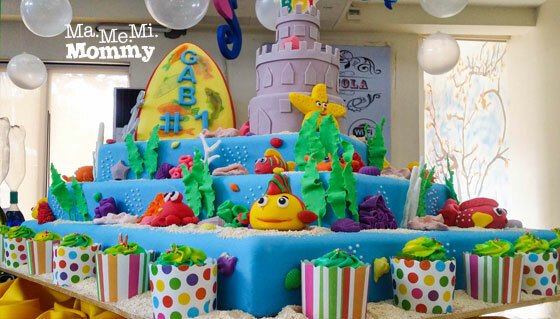 This colourful cake was beautifully decorated to include the cutest of sea creatures. 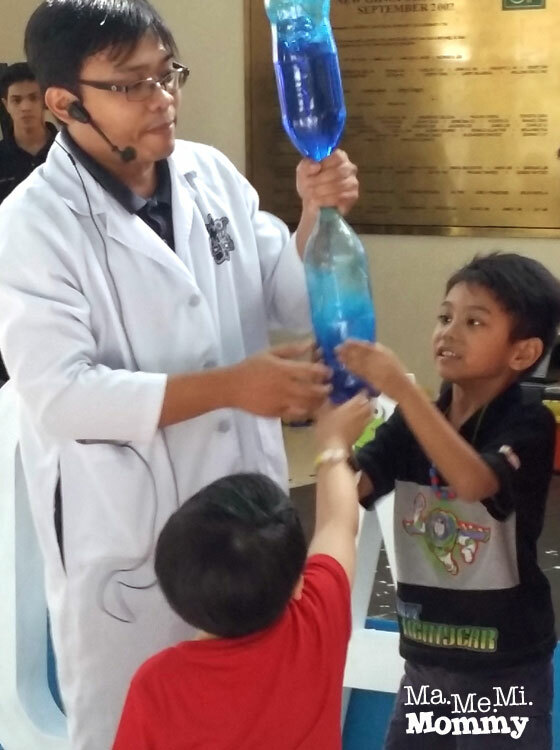 No Doctor Nefario here, it’s the duo Gravity Gideon (left) and Carbon Champ (right) doing the experiments. Here, they show how to fit Eggbert, a hard boiled egg, into a flask with an impossibly small hole. They managed to fit it in and get it out again. Hint, air and smoke. Here, they make tornadoes by shaking the bottles filled with blue liquid vigorously. They did it as a game, boys vs girls. Guess who won? Here, Gravity Gideon holds up a lighted candle while Carbon Champ helps the kids blow out the candle using tornado rings. The kids had a great time tapping, no, banging, on the big drum filled with fog to try blowing out the candle. The tornado rings from the fog made a really interesting effect. Too bad, I wasn’t able to capture them. Here’s DA getting a dose of the burp potion (also from dry ice). Judging by his reaction, it must have smelled awful! 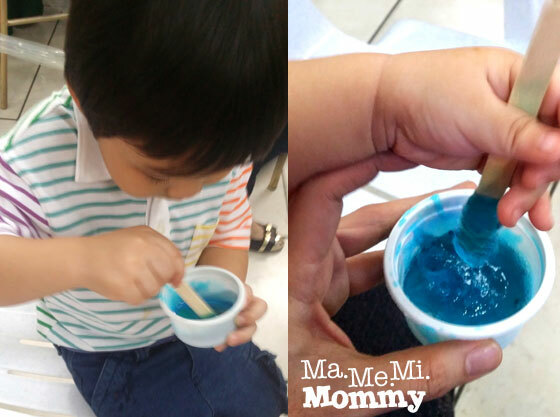 The kids even got to make their own slime using borax and glue. Reminder, don’t ever put in your mouths! 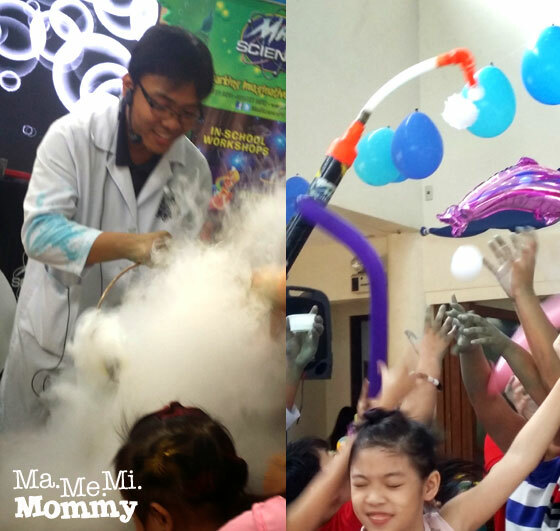 All in all, it was a fun and educational experience for the kids (and kids at heart!). It’s a different take on the usual illusions and tricks; this one has a scientific edge to it. I just hope that they come up with new stuffs all the time. It quickly becomes old school if we see all the same things again at a different party. 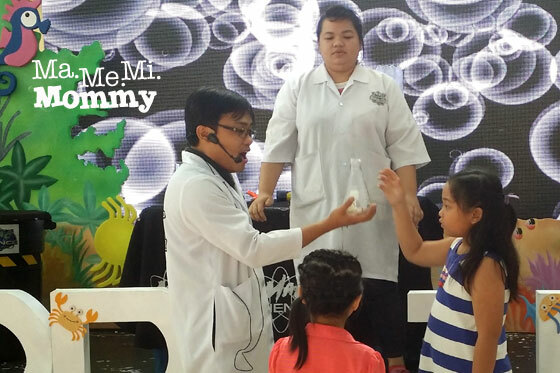 They also offer these shows for summer camps, in-class workshops, family days, foundation days, and other special events. 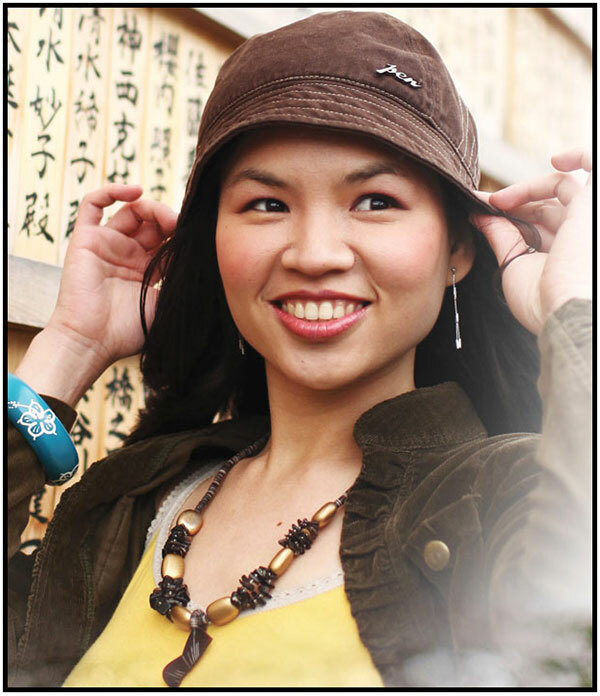 For more information, you can head on to their website. I love kiddie parties that offer other activities other than the usual party games. 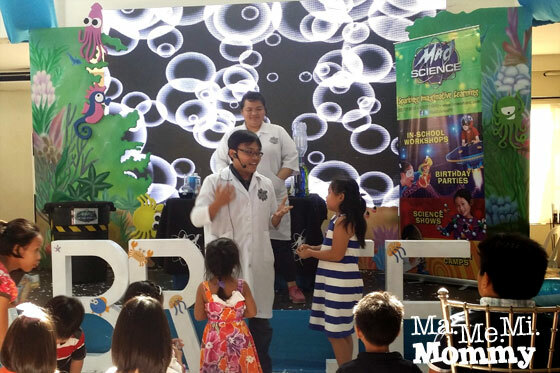 Mad Science is super fun! Oh, and I love the party invitations. Really cool idea. I love Mad Science! 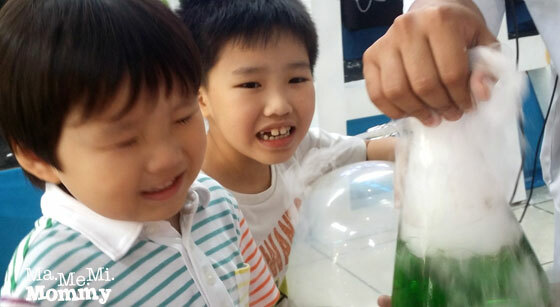 Learning science is always fun! This looks like a fun and expensive party. 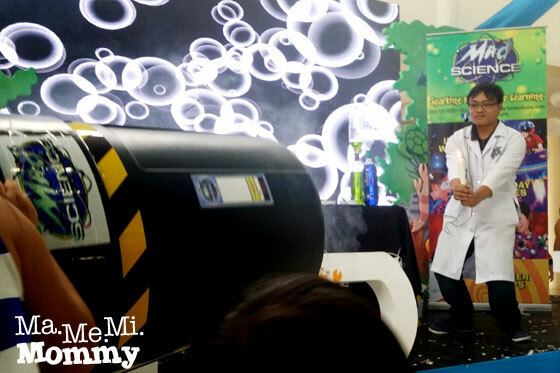 The Mad Science activity looks interesting. That’s a super cool kind of party! It’s unique and educational and I think it’s better than typical kinds of parties.